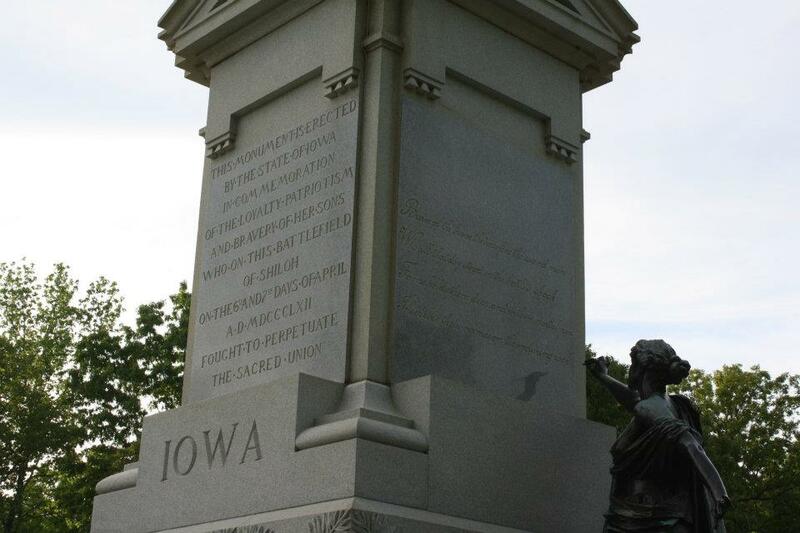 I've never lived in the South- but I've been to the South and while up here in Iowa and I'm sure a lot of northern states, the Civil War seems like a subject confined to history books, in the South, it's not. It's alive down there and it can sneak up on you in unexpected ways. Then there was one of our trips to Atlanta. We met up with some friends of the Parentals. The Dad was a tropical disease specialist so they were doing a stint down at Emory and working with the CDC. We ate Cuban food at this nice little place somewhere in suburban Atlanta and then kind of walked around the district, which seemed pleasant, vaguely hip, fun and then we turned a corner and ran smack dab into a Confederate memorial of some kind. I couldn't tell you what it was. History, they say is written by the victors. Except in America's case, it wasn't somehow. It almost was, but then Reconstruction ended and somehow all the important stuff- like the war being about the right to keep slaves and oh, the fact that the Confederacy lost got swept under the rug. It wasn't about the slavery. It was about 'state's rights' and other things that were distinctly not slavery. And gradually, over the decades, our history was rewritten by the losers. Every street name, every elementary school, every statue should be taken down. You know that scene in Indiana Jones and The Last Crusade when he's fighting on the ship about the Cross of Coronado and he yells, "It belongs in a museum!" So do every last one of those monuments. That simple sentence should have been the principled position of every American, left or right, Democrat or Republican for years, if not decades now. The fact that it hasn't been says a lot about the state of our political discourse today. Where was everyone on these monuments five years ago? Ten, even? I see a lot of people announcing that 'it's time to pick a side' after what happened last weekend in Virginia. Now it's time to pick a side. Now? Shouldn't it be pretty obvious what side to be on, a century and a half after the Civil War ended? We won. It's time to stop letting the losers write our history. I originally wanted to write this post because Iowa kept getting named checked in articles about the number of Confederate memorials that exist in the country. There is a Civil War monument down in rural Davis County. It remembers the Bloomfield Raid, when Confederate forces, dressed in Union uniforms crossed the border. It was the furthest north Confederate forces of any kind ever got. Doesn't seem to be on the same level as a statue of Robert E. Lee, Jefferson Davis or god forbid, Nathan Bedford Forrest. Monuments and markers like that. A marker to state, clearly and simply: this was the farthest north they ever got. I'm okay with that. 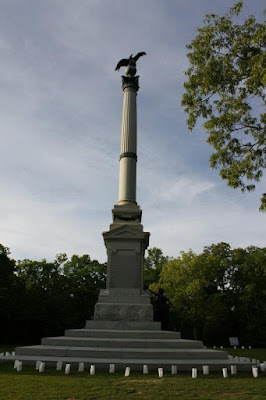 "This monument is erected by the state of Iowa in commemoration of the loyalty, patriotism and bravery of her sons who on this battlefield of Shiloh on the 6th and 7th days of April ADMCCLXII fought to perpetuate the sacred union." This is the history that should be remembered.